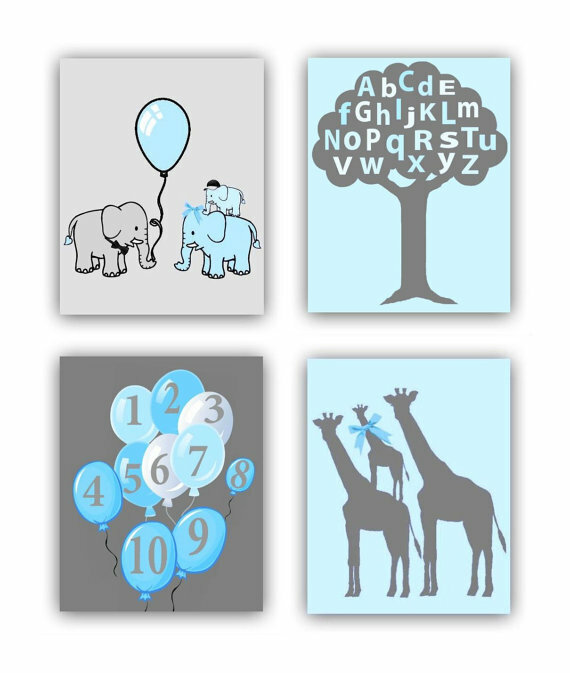 Elephant,Giraffe, Alphabet,Numbers,Animals themed nursery on blue-gray colors,seriously how beautiful and unique! 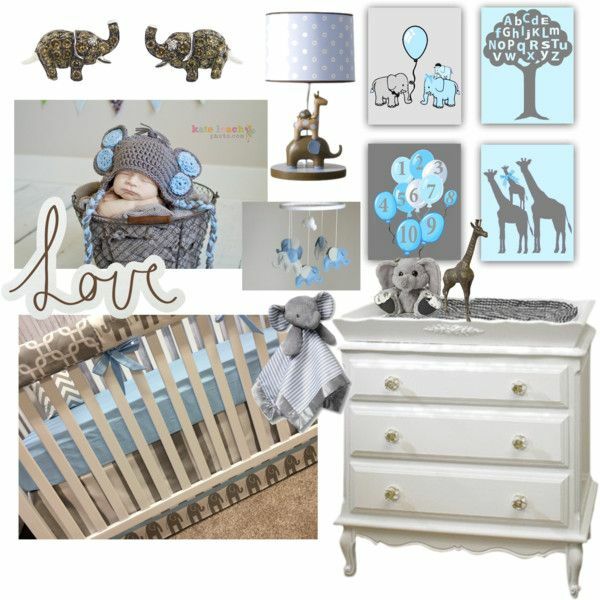 I want baby's room to look like this...bright & happy and here some of my decoration ideas for baby boys nursery room. You can find all items here.